The U.S. appears headed toward a military strike against Syria over the apparent use of chemical weapons by the Assad government in the Syrian civil war, now in its third year. For a closer look at the Syrian conflict, STATEside turned to Yusuf Sarfati, an assistant professor in the Department of Politics and Government at Illinois State University, and the director of the Middle Eastern and South Asian minor program. The threat of a U.S.-led military strike against Syria seems imminent. What led this point? Since the last months of 2010, we have been witnessing uprisings in different parts of the Arab world. 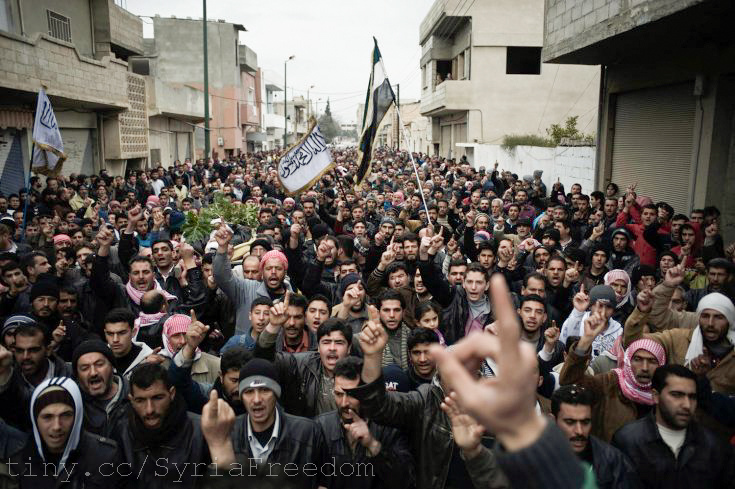 In Syria as well, large numbers of nationwide protests have occurred in April 2011 with an aim to overthrow President Bashar Assad, who has been serving as the leader of the Ba’ath regime in Syria for the past 13 years. Similar to other Arab uprisings, Syrians initially demanded to get rid of the corrupt, brutal and authoritarian practices of the Ba’ath regime. 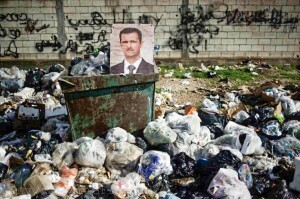 However, unlike some of the other more successful cases, such as Tunisia and Egypt, where popular protests were able to oust longtime dictators peacefully in a short period of time, the protests in Syria led to a long-drawn, protracted civil war between the regime’s security forces and hundreds of small sized militias throughout Syria. This civil war provided an immense humanitarian cost, so far killing an estimated 100,000 Syrians, creating over a million and half refugees in the neighboring countries of Lebanon, Jordan and Turkey, and internally displacing millions of people. While some regional players, such as Turkey, were lobbying for an international intervention for some time, the Obama administration was unwilling to intervene in the Syrian conflict and chose to provide indirect assistance to some opposition groups through allies. However, the latest attack that occurred last week in one of the suburbs of Damascus, where hundreds of civilians lost their lives, has signs of chemical weapon use. Since the U.S. has declared from the beginning of the conflict that usage of chemical weapons towards civilians constituted one of its red lines, it now feels the pressure to intervene in the conflict. How does what’s happened in Syria the past two and a half years compare to other uprisings in the Middle East and North Africa since the Arab Spring? In Syria, the uprising stemmed from grievances that were similar to other Arab countries. Similar to other Arab countries, the protestors expressed their dismay over corruption, crony capitalism, unemployment, lack of political voice, and humiliation at the hand of the regime. Many scholars explain these grievances by the partial successes of the authoritarian regimes. While many of the authoritarian Arab regimes succeeded in modernizing their societies, hence in creating urbanized, highly educated and young populations, they were unsuccessful to meet the expectations of these upwardly mobile educated youth by failing to provide meritocratic systems, sufficient job opportunities, and accountable political systems. While these social dynamics and political grievances were similar in Syria and other Arab countries, the way the armed forces reacted to the protests was dramatically differed, particularly from Egypt and Tunisia. In the latter countries the armed forces refrained from suppressing peaceful protesters, while in Syria the armed forces and the security apparatus has largely cooperated with the regime in brutally suppressing the protestors. The main reason for this is the patrimonial nature of the Syrian security apparatus and Assad’s deliberate policy of breeding sectarian divides in his country. For a long time, Alawites in general and the Assad family in particular have dominated high ranking positions in the army and administration. Moreover, Bashar Assad has presented himself as the protector of Alawites and other minorities in Syria, such as the Christians. Thus, the army knew that its fate as an institution is very much tied to Assad’s political future, and therefore is fighting to tooth and nail against the opposition. Assad also secured the backing of the minorities by claiming that in his absence they would be wiped out by hostile forces. This politicization of sectarian divides unfortunately bred intergroup conflict and led to a volatile civil war, where the civil strife is perceived as a zero-sum game by many. What consequences could a U.S.-led military strike bring to Syria and the region? When contemplating the consequences of a military strike, it is important to differentiate between different ways of international intervention. A ground invasion that would aim to topple Assad regime, which is a highly unlikely possibility at the moment, would have detrimental effects as the conflict might spread to other areas in the region. Iran, Hezbollah and Russia are allies of the Syrian regime, and at least the former two would defend the regime by retaliation to other potential allies. This increases the possibility of a regional war in the neighboring countries, and exportation of some of the sectarian conflict to adjacent states, such as Lebanon or Turkey. What would be the goal of an attack or intervention? Is it to remove Assad? Is there someone who could take his place? There are a couple of different ways to intervene. The first possibility is that the U.S. can initiate a cosmetic attack on several facilities in Syria to follow up on its promise of action in face of a chemical attack, and therefore protect its global credibility. This type of attack would probably have little effect on the situation on the ground. Secondly, the U.S. might engage in a more purposeful strike by forging an international coalition and aiming at Syrian air forces, military commands, and facilities responsible for carrying chemical attacks. This might deter the Syrian regime by showing that chemical attacks and indiscriminate killings of civilians go against international norms and will be severely punished. The last option is a full-fledged military intervention to oust Bashar Assad. This would require not only an extensive air strike, but also a ground invasion. This would also mean that the U.S. would become part of a new state-building project in the post-Assad Syria similar to Iraq and Afghanistan. This third possibility is not only unpopular among the U.S. public due to its high costs, but also not an option coveted by President Barack Obama. Moreover, regime change through military intervention and nation-building through foreign powers go against the core aspirations of those who participated in the Arab uprisings, namely national self-determination and democracy. Regime imposition from outside in Afghanistan, Iraq and elsewhere proved to be failures and created a lot of resentment against the Western powers who were perceived as imperial powers. The scenarios for a post-Assad Syria are very bleak. The Assad regime has been responsible for brutally killing many of its citizens, and the continuation of his rule would create an unbearable reality for many. On the other hand, the opposition forces are divided among themselves. While there are groups who fight for a democratic Syria under the umbrella of Free Syrian Army, there are other groups with al-Qaida links, such as the Al-Nusra Front, who embrace very rigid ideological positions. A new state in the hands of latter groups might become quite oppressive as well. A removal of Assad regime at this point might also mean the dismantling of state institutions and the collapse of any remaining sense of order. There are also serious possibilities of Syria’s break-up into several distinct states with ethnic/religious concentrations, if the war drags longer. The only chance that would bring a modicum of stability or justice to Syria would be an attempt to bring all sides, including all the opposition forces and allies of the regime, to a negotiation table and make sure that everyone is represented in the rebuilding of Syria. While this possibility seems more remote than ever at this stage, I think it is only option that might create any form of justice and order. The United Nations is investigating the claims of a chemical weapons attack by the Syrian government against its own people, a claim the Syrian government has denied. What would happen if evidence is found to support the claim before an attack? The United Kingdom would bring a resolution to the UN Security Council to get authorization to militarily intervene in Syria on humanitarian grounds. It is highly unlikely that the authorization for the use of military force would pass the UN Security Council even if the investigation team confirms the use of chemical weapons against civilians, because Russia as a Syrian ally would veto this initiative. However, it is possible that a coalition of the willing among UN members might engage in such an action. In this case, the legality of the action according to international law would be in question. Another possibility is a strike that would be conducted by NATO.